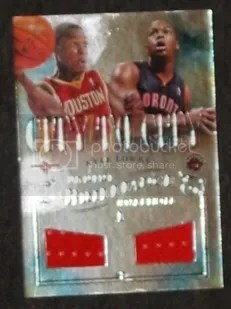 This contest is for a Kyle Lowry 12-13 Brilliance – City To City Jersey. Good luck! Thats right. 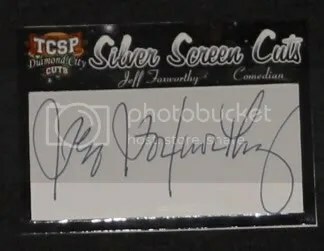 I pulled a Jeff Foxworthy “Silver Screen Cut” – Cut Signature serial numbered 1/1. I would like to know who the third party authenticator is, but when I compared this signature to one certified by PSA/DNA it looks extremely similar. There are a lot of cut signature products on the market. Most of them come from Razor and Leaf. 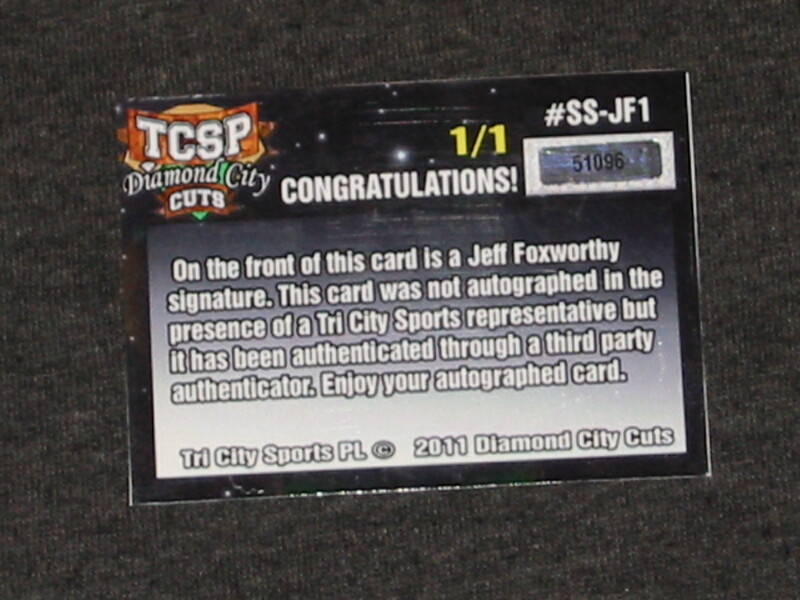 Tri City Sports PL started in 2008, and if you like cut signature brands you should give it a try. It is a very limited product. Only 30 cases were produced. Each case contains 14 boxes. Boxes can be found on eBay for around $20.00 to $40.00. 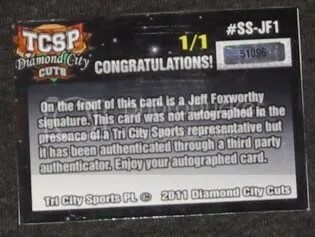 According to Tri City Sports PL, all cut signatures are certified by JSA, PSA, Steiner, or Upper Deck. 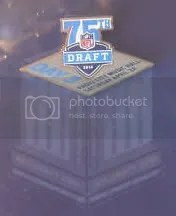 The 2010 NFL Draft has come to a close, but it’s collectibles are just starting to surface. 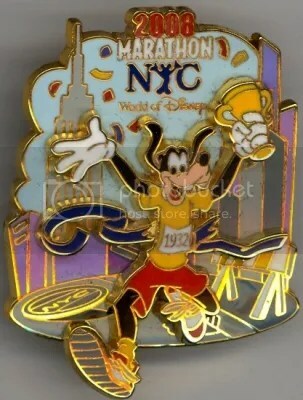 As a large collector of sports pins, I was looking to see if I could find the same pin the announcers were wearing on ESPN. So far, I haven’t had much luck. Instead, I’ve stumbled upon the pins below that were given out to people that attended the Draft. 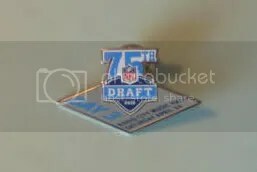 Each day of the Draft, a new pin was given out to 4,000 people. When all the pins are put together they form Radio City Music Hall. Pins are highly collectible within the sports memorabilia market. I’d love to see a manufacturer insert pins into cards somehow. Especially ones from specific events like the NFL Draft, Super Bowl, and the World Series.